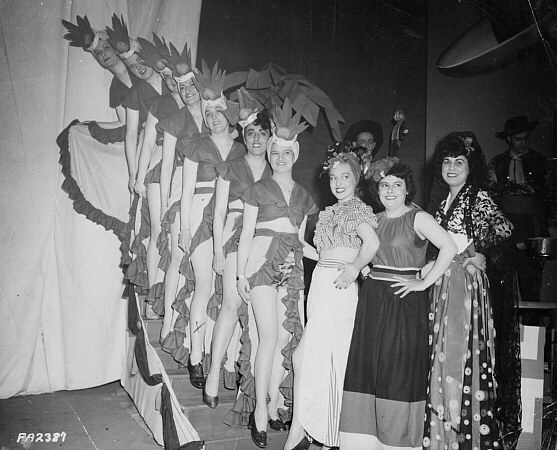 Frank Otero contacted Aldon Ferguson with pictures of the Bowery Belles. 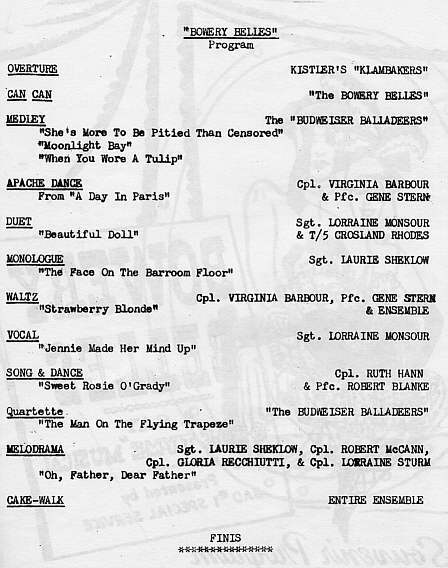 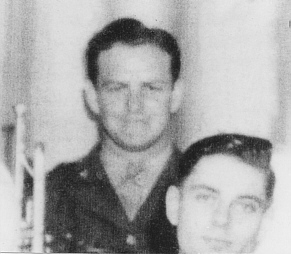 The Belles were WACS who performed with Eddie Kistler's Swing Tips Band on numerous occasions. 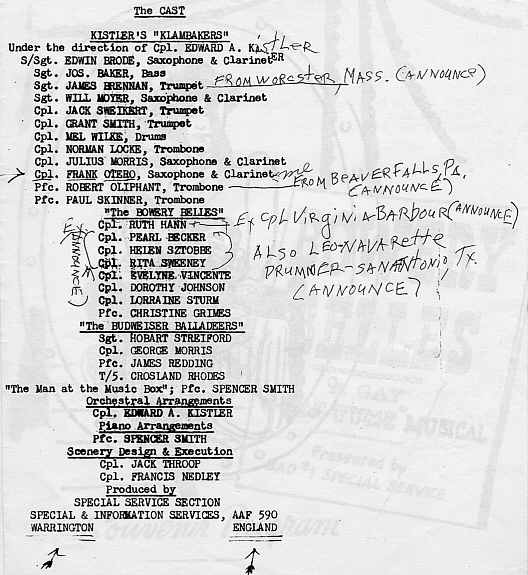 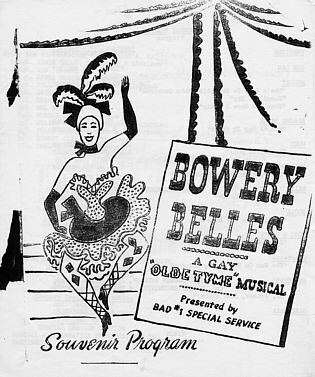 A Souvenir Program is depicted below from a performance held at the Royal Court Theatre in Warrington.